The world trend of networking industry devices is pursuing high density, high speed port, high performance but low acoustic noise and require low power consumption for the concern on energy saving. To fulfill networking device providers’ demand on thermal solution, Delta is glad to introduce Delta T series family to the market. 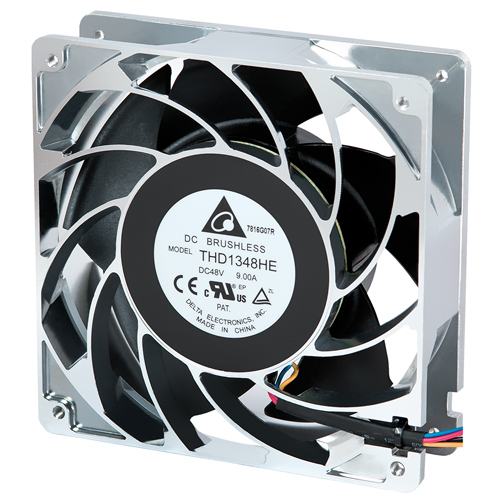 T series fan units are with high performance to cope with high impedance, low acoustic noise, and low power consumption. 3. Advanced motor and blade design to achieve high efficiency and low power consumption. 4. Optional brake function design offers safety and air turbulence protection. 5. Hot swap circuit design to restrain the inrush current. 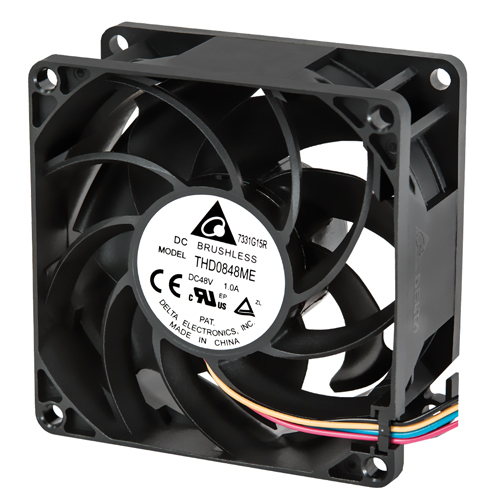 T – SERIES FAMILY: For Networking application, T series family including THA, THB, THD, TDA, TEA models are the optimal choice for your requirements. The THD series boasts newly designed bionic blades inspired by nature’s most powerful winged predators. 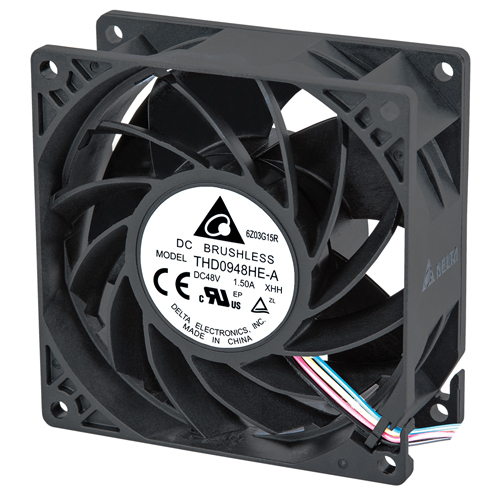 This fan series represents the most quiet, fast, powerful and efficient design Delta has to offer. Engineers managed to apply the posture and wing structures of an osprey in flight to design fan blades via parameterized and simulated processes. 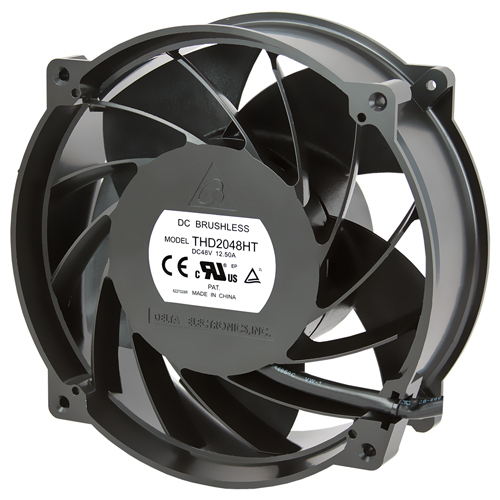 By simulating the curve of an osprey’s wing in flight, the new THD series fan reduces fan noise up to 6dB-A. In order to reduce the risk of engineering personnel in the replacement of the fan and to avoid fan can’t turn on normally when caused by system air turbulence. For Networking application, T series family including THA, THB, THD, TDA, TEA models are the optimal choice for your requirements. 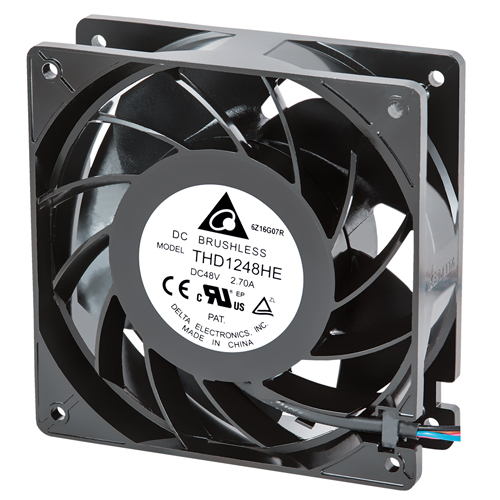 Contact us at dcfansales.us@deltaww.com to get more information and the best thermal solution.